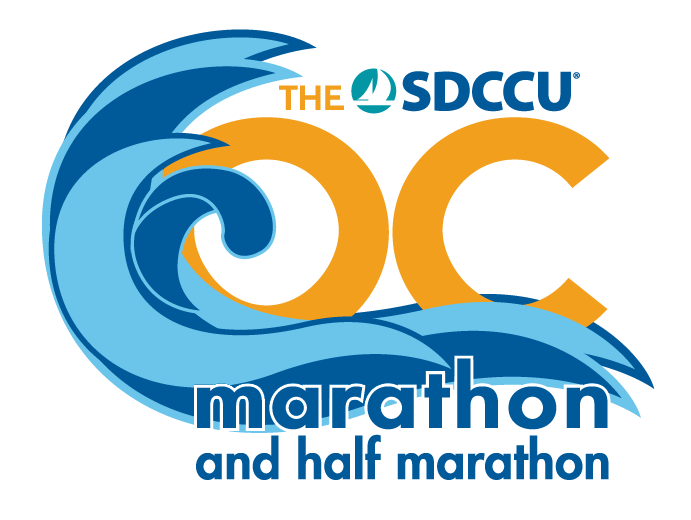 The SDCCU OC Marathon would not be possible without the support of over 2000 volunteers that assist throughout the event weekend. We will host and support approximately 135 schools (10,000 kids) for our Kids Run the OC, another 15,000 runners in the 5k, half and full marathons and 30+ Charity Partners from the Orange County community. Since our inception, the OC Marathon and related events have raised and helped our partners raise over $5 million in charitable funds. ACKNOWLEDGMENT, AGREEMENT, RELEASE AND WAIVER OF LIABILITY In consideration of the opportunity to participate as a volunteer at Test Event, and/or any related events and activities (the "Events"), the above-named person ("Volunteer") agrees as follows: 1. Volunteer recognizes that, depending upon task, environmental and other conditions, providing volunteer services at a special event may involve potentially hazardous activities. Such risks include but are not limited to: - Volunteer may be tasked to cut fruit or open boxes using sharp tools such as kitchen knives and box cutters; - Volunteer may be tasked to direct traffic and be positioned in a parking lot or street; - Volunteer may be tasked with a job on the event course or behind the finish line where there are fast-moving wheelchairs and handcycles; - Volunteer may be asked to carry heavy objects; - Volunteer may be tasked to assist with loading/unloading vehicles, including large box trucks and stake bed trucks with the movement of pallets and heavy objects; - Volunteer may be asked to work in an area with active forklifts and other heavy equipment such as boom lifts, pettibones, scissor lifts, forklifts, golf carts, UTVs, box trucks, stake bed trucks, pickup trucks, etc. ; - Volunteer may be asked to work in crowded areas or alone, in buildings or on the streets; and - Volunteer may be exposed to difficult environmental conditions including darkness, rain, sun, heat and cold. Both adult and child Volunteers may encounter such risks. Volunteer agrees to exercise caution while engaging in any assigned task and follow all instructions of police and Event organizers. Volunteer understands that he or she is free to terminate service at any time and to take breaks for food, water, and bathroom use, if not provided by the event. 2. Volunteer, on his or her own behalf and on behalf of his or her spouse and other family members, heirs, estate, successors and assigns, and anyone else who might claim on Volunteer's behalf, to the fullest extent permitted by law, covenants not to sue and fully and forever WAIVES AND RELEASES The OC Marathon LLC, The OC Marathon Foundation, the City of Newport Beach, the City of Costa Mesa, the City of Irvine, the City of Santa Ana, OC Fair & Event Center, Orange County Department of Education, South Coast Plaza, San Diego County Credit Union, the host cities, the state, any and all municipal agencies and departments whose property and/or personnel are used or in any way assist, and all producers, sponsors, co-sponsors, advertisers, organizers, other volunteers and/or contractors of any of the Events in which Volunteer may participate, and all employees, principals, directors, shareholders, agents, members, managers, affiliates, representatives, and insurers of each of the foregoing (collectively, the "Released Parties") from any claims (known or unknown, foreseen or unforeseen) or expenses (including attorneys' fees) of any kind or nature for any property loss, injury, disability or death ("Claims"), including those arising from the negligence or carelessness of any of the Released Parties, and agrees to indemnify and hold harmless the Released Parties against all Claims. Volunteer acknowledges that the RELEASED PARTIES MAKE NO WARRANTY, EXPRESS OR IMPLIED, REGARDING THE EVENTS (including, but not limited to, the condition of any courses) and agrees that the Released Parties will not, under any circumstance, be liable for consequential, indirect, special or similar damages. Volunteer acknowledges that this Acknowledgment, Agreement, Release and Waiver of Liability will be used by the Released Parties and that it governs the legal rights and responsibilities of both Volunteer and the Released Parties. 3. Volunteer hereby grants to The OC Marathon LLC, The OC Marathon Foundation, the City of Newport Beach, the City of Costa Mesa, the City of Irvine, the City of Santa Ana, OC Fair & Event Center, Orange County Department of Education, South Coast Plaza, San Diego County Credit Union and its sponsors the worldwide right in perpetuity to use and authorize third parties to use Volunteer's name, voice, picture, and likeness in any broadcast, telecast, advertising, promotion, or other account of the Events in any form and for any purpose, without compensation or further approval. 4. Volunteer grants the event organizer the right to contact him or her by telephone, text message or email to provide the Volunteer with information and updates, and to offer the Volunteer additional volunteer opportunities including after the event. 5. Volunteer acknowledges that he or she has no expectation to be paid for his or her volunteer services to the events and that The OC Marathon LLC, The OC Marathon Foundation, the City of Newport Beach, the City of Costa Mesa, the City of Irvine, the City of Santa Ana, OC Fair & Event Center, Orange County Department of Education, South Coast Plaza, San Diego County Credit Union, the event sponsors and other entities involved with the events are for-profit entities. Volunteer further acknowledges that he or she is not entitled to make any claim for workers' compensation or other benefits of any kind from The OC Marathon LLC, The OC Marathon Foundation, the City of Newport Beach, the City of Costa Mesa, the City of Irvine, the City of Santa Ana, OC Fair & Event Center, Orange County Department of Education, South Coast Plaza, San Diego County Credit Union, the event sponsors or any other associated entities. 6. The OC Marathon LLC, The OC Marathon Foundation, the City of Newport Beach, the City of Costa Mesa, the City of Irvine, the City of Santa Ana, OC Fair & Event Center, Orange County Department of Education, South Coast Plaza, San Diego County Credit Union reserves the right to refuse to allow a person to volunteer for any reason and to terminate a person's volunteer service at any time and for any reason including during the middle of a volunteer shift. 7. Volunteer (and Volunteer's parent or guardian, if Volunteer is under the age of 18) hereby agree(s) to submit all claims against The OC Marathon LLC, The OC Marathon Foundation, the City of Newport Beach, the City of Costa Mesa, the City of Irvine, the City of Santa Ana, OC Fair & Event Center, Orange County Department of Education, South Coast Plaza, San Diego County Credit Union and its employees, owners, officers, directors, affiliates, sponsors, and agents, and any dispute arising from or relating to Volunteer's participation in the Events, to binding arbitration. The arbitration shall be pursuant to the rules of the American Arbitration Association and shall be held exclusively in Orange County, California, unless otherwise mutually agreed to by all parties. Arbitration must be commenced within one (1) year from the date on which any alleged claim first arose. Any claim filed after the one (1) year deadline will be time barred. Notwithstanding anything herein to the contrary, this paragraph 7 shall bind Volunteer and Volunteer's spouse, family members, heirs, estate, successors and assigns, and anyone else who might claim on Volunteer's behalf, and any and all parties whose claims (including a claim of wrongful death) may arise out of or relate to Volunteer's volunteer participation in the Events. 8. Volunteer warrants that all statements made herein are true and correct and understands that the Released Parties have relied on them in allowing Volunteer's volunteer participation in the Events. 9. If any part of this agreement should be deemed unenforceable, that portion of the agreement is severable, and the remaining provisions shall remain in full effect. 10. VOLUNTEER HAS READ THE FOREGOING AND INTENTIONALLY AND VOLUNTARILY SIGNS THIS ACKNOWLEDGMENT, AGREEMENT, RELEASE AND WAIVER OF LIABILITY AND UNDERSTANDS THAT VOLUNTEER IS ASSUMING THE RISK OF, AND RELEASING AND HOLDING HARMLESS THE RELEASED PARTIES IN CONNECTION WITH, VOLUNTEER'S PARTICIPATION IN THE EVENTS. VOLUNTEER FURTHER UNDERSTANDS THAT THIS AGREEMENT AFFECTS IMPORTANT LEGAL RIGHTS AND THAT, BY ENTERING INTO THIS AGREEMENT, VOLUNTEER IS WAIVING ANY RIGHT TO A TRIAL BY JURY. IF VOLUNTEER IS UNDER AGE 18, VOLUNTEER'S PARENT OR GUARDIAN MUST SIGN THIS ACKNOWLEDGMENT, AGREEMENT, RELEASE AND WAIVER OF LIABILITY. Such Parent's or Guardian's signature below certifies that his or her son/daughter/ward has permission to participate in the Event(s). Volunteer's Parent/Guardian has read and understands the foregoing ACKNOWLEDGMENT, AGREEMENT, RELEASE AND WAIVER OF LIABILITY and by signing intentionally and voluntarily agrees to its terms and conditions. Volunteer's Parent/Guardian further certifies that his or her son/daughter/ward is in good physical condition and is able to safely complete the Event(s). Volunteer's Parent/Guardian hereby authorizes medical evaluation, treatment and transfer to a medical facility for such son/daughter/ward and grants access to such child's medical records as necessary.